Bringing recruiter and candidates more close, a chat based job search mobile app ‘Empzilla’, first ever of its kind in the country has been launched that is expected to do away with existing limitations of employers and job seekers making selection process quick and cost-effective. In the traditional way of communication via mail, SMS or personal call, the candidate and the recruiter are unaware of the exact distance between the hiring venue and candidate’s domicile. The feature of geolocation in Empzilla identifies the exact distance between the hiring venue and the registered location of the candidate. As per the promoters, the mobile app gets the conversation between employers and job seekers going in seconds and the latter can chat with the potential employer even within his office set up without letting his peers and seniors know the context of the conversation. It also relieves the Human Resource department of the excessive load of emails and the need to download all the profiles which are time-consuming and confusing. “We realized there were limitations in the way job seekers were communication with employers so far. To do away with those limitations, we are launching this mobile app which will revolutionize the way communications happens between job lookers and recruiters. This can easily be downloaded from Google Play store and is free. 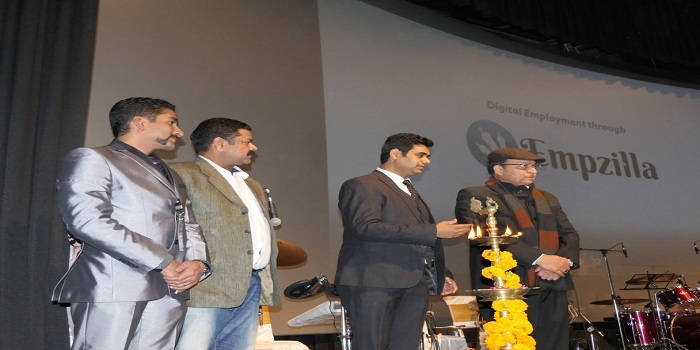 It will also take the government’s Digital India initiative forward,” said Akash Attray, Chairman, Empzilla. The candidate receives the notification at every step from ‘application viewed’ to ‘application in review’ further ‘shortlisted’ till ‘interview invite’. The traditional approach to mail/call creates a larger chance to miss the targeted candidate due to unfavorable conditions like the candidate being in the office premises which restricts him or her to discuss other job opportunities. He or she can also ignore recruiter’s calls being unaware of the caller’s source and purpose. Chat is least missed when compared to a call.